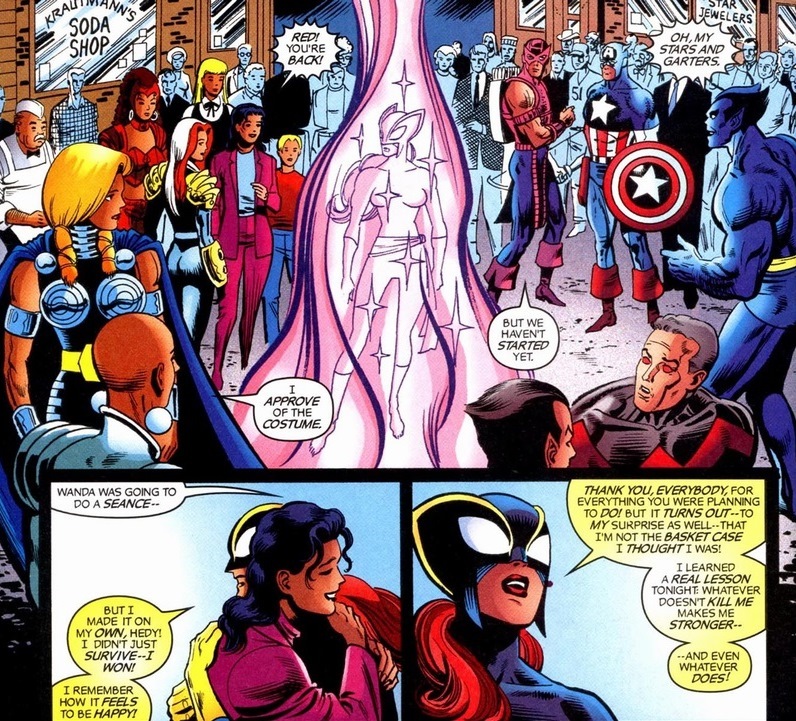 Hey, remember this super depressing scene from the ’90s when Patsy Walker killed herself? 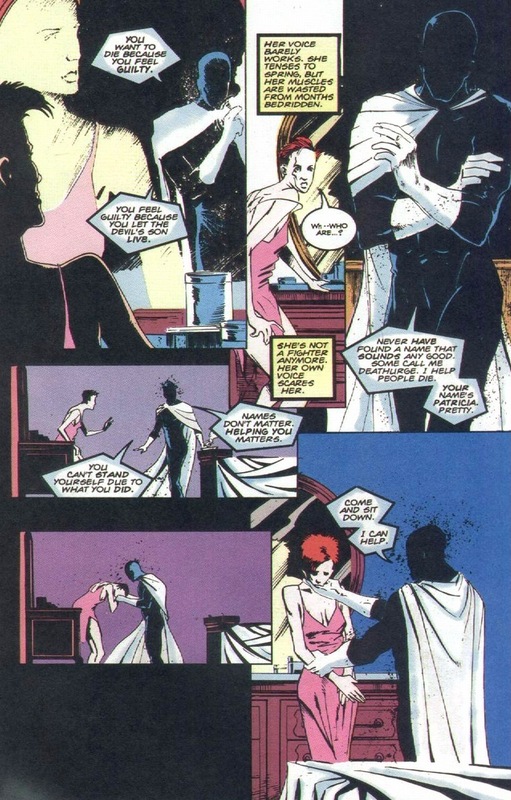 That’s from Hellstorm: Prince of Lies #14, written by Warren Ellis and drawn by Peter Gross. Turns out Walker shouldn’t have married a demon, because y’know, they tend to do a bunch of evil stuff. Not a trustworthy group, the hell-dwellers. 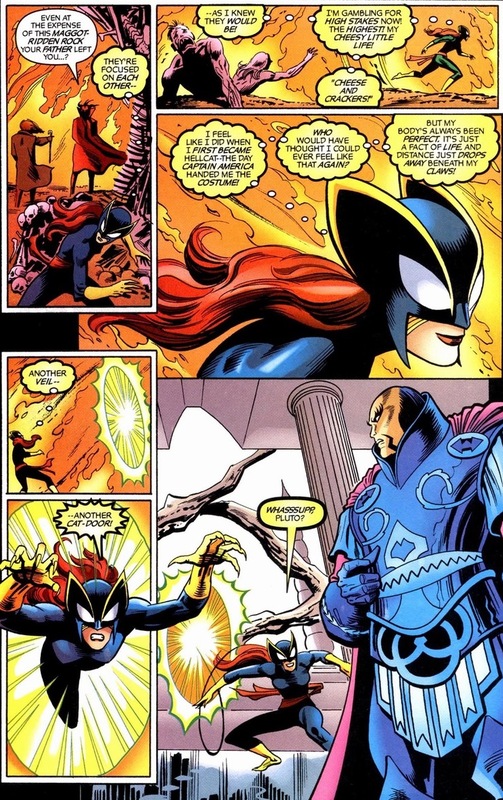 Except besides those few sad years in the early ’90s, Walker, a former soap opera comic star turned superhero Hellcat, has pretty much been a positive, fierce, and wonderful role model for female comic book readers. 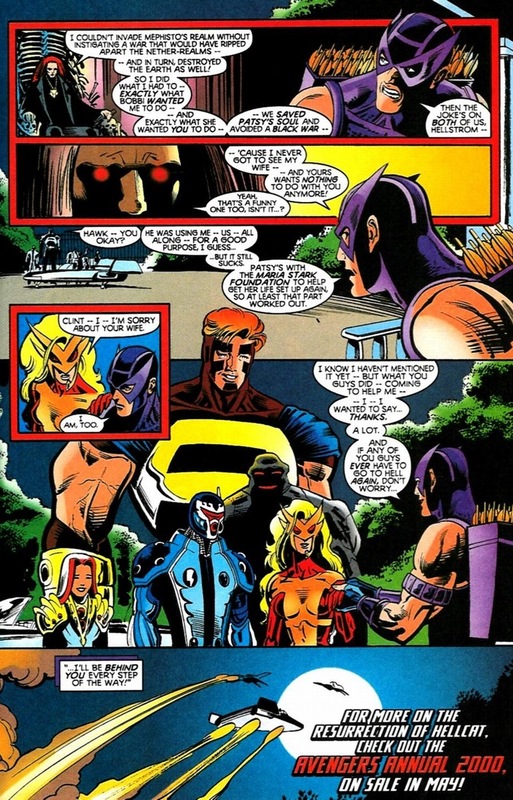 Or if not in the past, at least since Thunderbolts Annual 2000, written by Fabian Nicieza & Norm Breyfogle and drawn by Kurt Busiek, when Hawkeye (tricked by Hellcat’s ex-husband Daimon Hellstrom — not Hellstorm) rescues her from her eternal damnation. 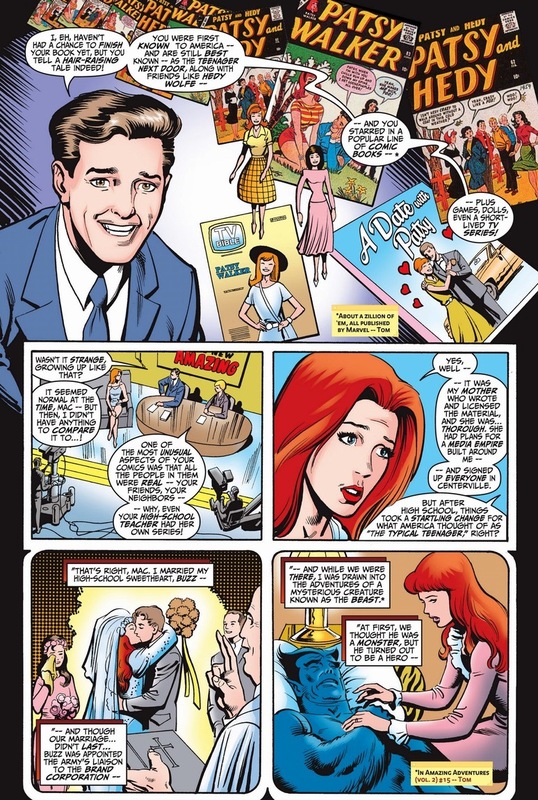 If you want to talk about character progression and growth, you can’t find anyone better qualified than dear Patsy Walker. Starring originally in teenage drama comics, she became a superhero, then the fearless wanderer of the demonic afterworld. 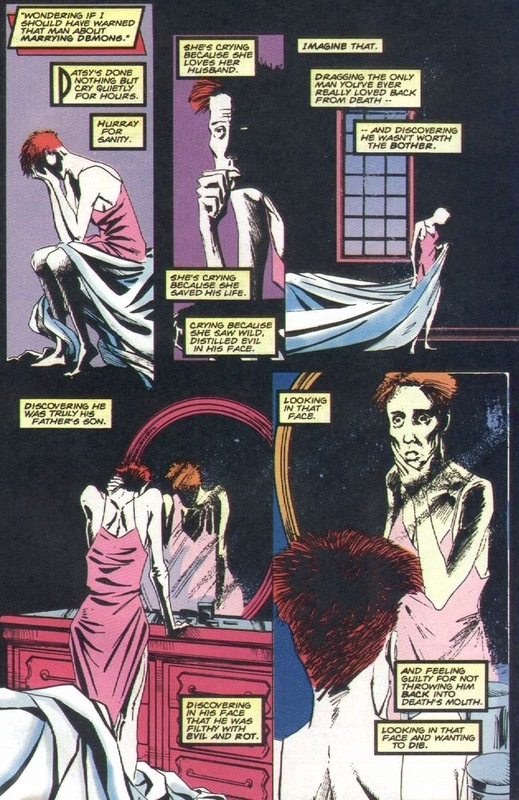 And thank goodness for that last part especially, because in the miniseries Hellcat #1-3, written by Steve Englehart and drawn by Breyfogle, she gets warped right back to her home she spent as punishment for her suicide. 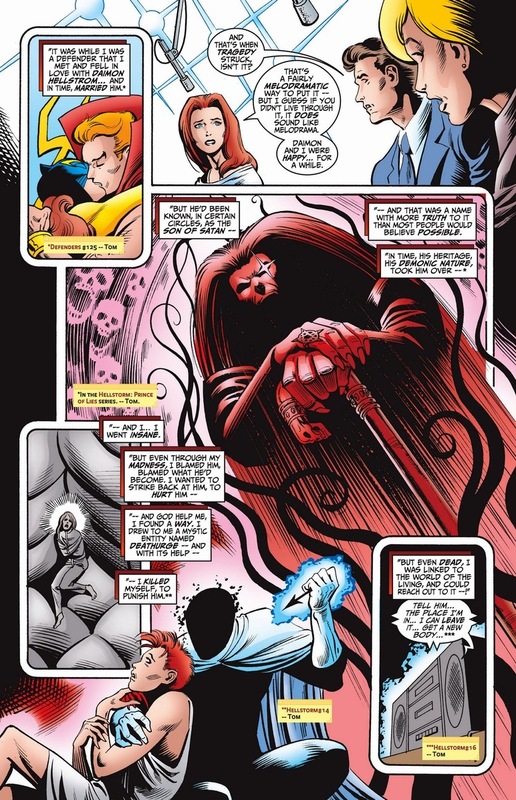 Sin’s still sin in the Marvel world, even under the influence of a horrifically bad marriage and uncontrollable insanity. She really shouldn’t have married a man who’s affectionately known as the Son of Satan. 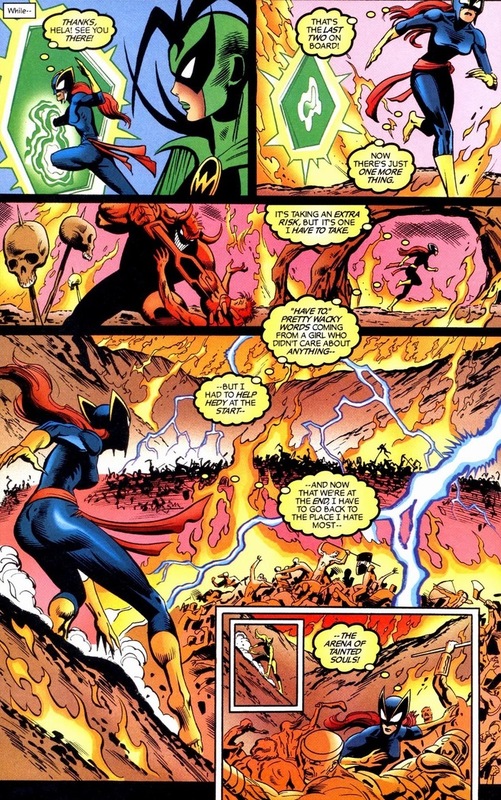 For scale of just how bad her situation is, she’s under attack by Dormammu, a demon so powerful that Doctor Strange wets himself every time he makes an appearance. 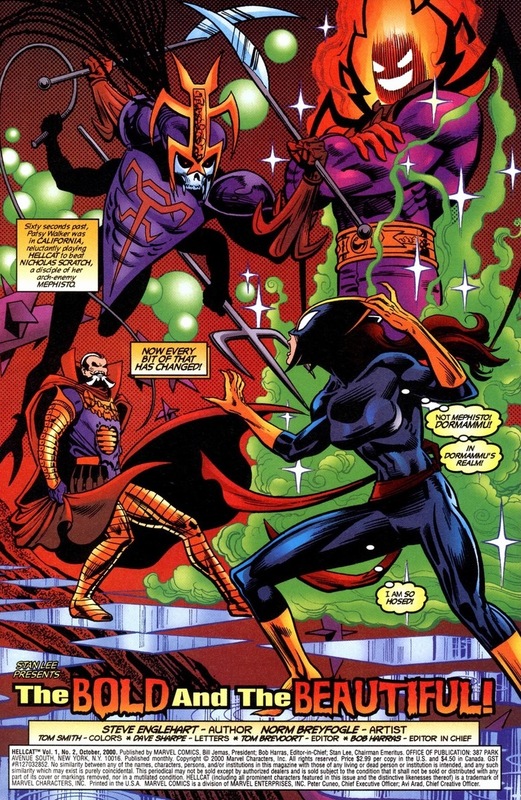 Dormammu, the monster that the other demon lords shudder at the thought of. 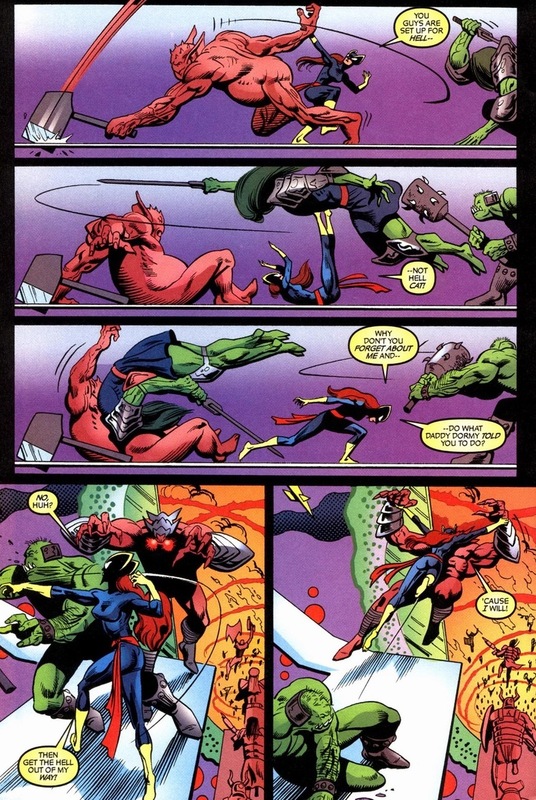 So what superpowers does Hellcat have to defend herself with? Oh, you mean she’s a normal human wearing a cat suit? 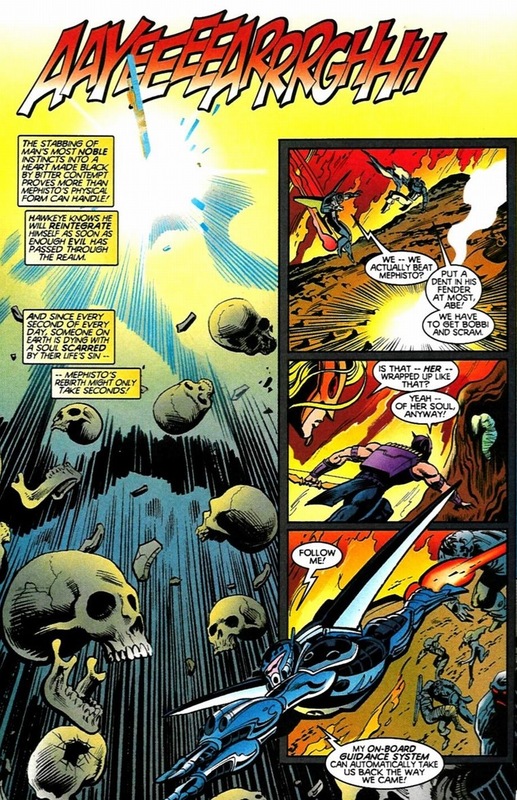 And I’m sorry for being mean to Doctor Strange, I just wanted to add some suspense. 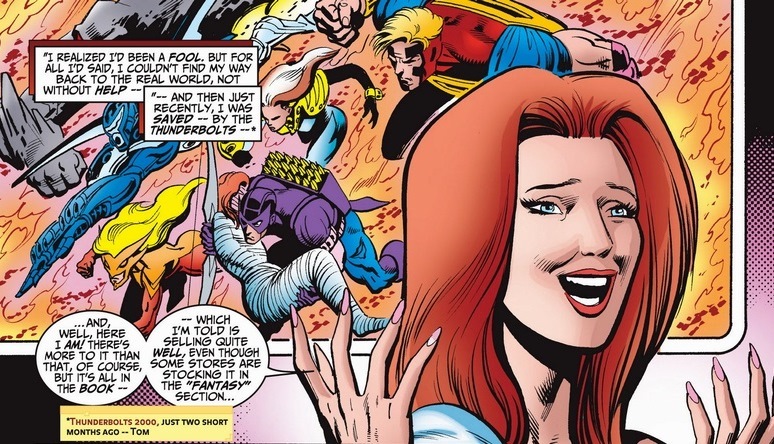 Essentially, Hellcat finds herself in the middle of a demon war. 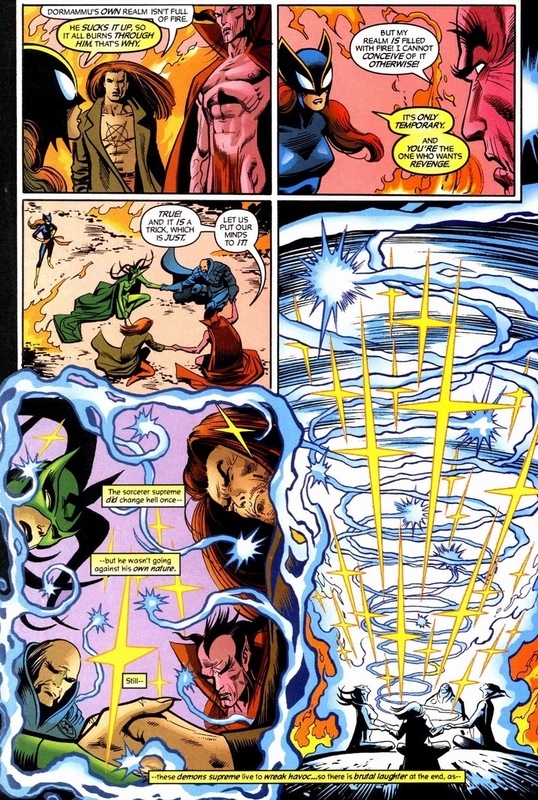 Dormammu plans to take over the dimensions claimed by Mephisto, Pluto, Hela, and Hellcat’s ex-husband Daimon Hellstrom. Because demons tend to be lying, manipulative, selfish creatures, Hellcat pretty much has to end this war herself. Superheroes always get the short end of the problem solving stick. And the plan? Good ol’ fashioned teamwork. Well, that and the combined powers of the most powerful sorcerers that Hell has ever produced. 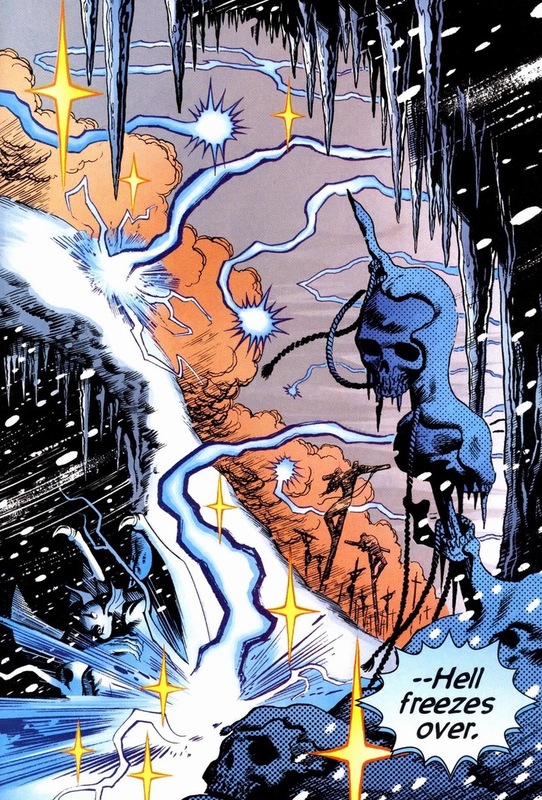 To reward her bravery and intelligence, Mephisto and the others grant her safe passage home. I’m kidding — she has to truthbomb her way out of Hell before Mephisto chains her up like slave Leia in Jabba’s Palace. Demons don’t understand gratitude. We’ll stop here today. I have a good fifteen pages and four hundred-ish more words left to show you, but by asking around, I’ve learned over the past 300 articles that people usually don’t have the time to read articles that require scrolling the length of Wolverine’s back hair (long). Those spreadsheets won’t fill themselves out, or whatever people do in offices. 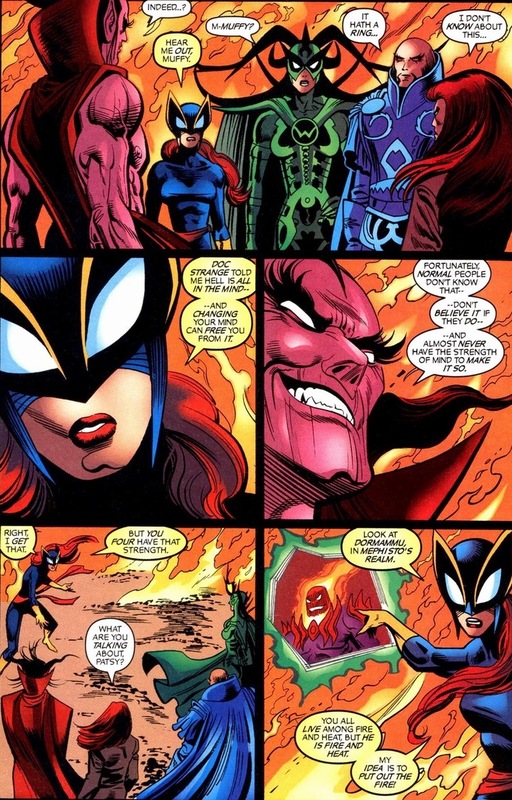 Next time, more Hellcat and Daimon Hellstrom! Well, she certainly lived up to the “Hell” part of her name! This mini series looks awesome. Hopefully it’s collected in TPB form, or else i’ll have to hunt them individually on eBay. I looked it up, and I don’t believe the series ever received a TPB. Luckily, it’s only three issues, so I imagine a little Googling should find what you’re looking for. And plus, I love that black Hellcat costume she only seems to wear in this series. Cheese and crackers! 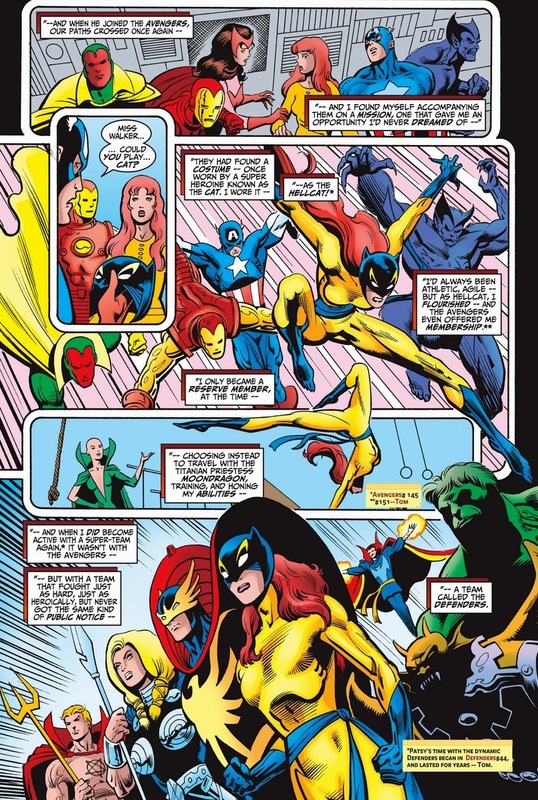 I am a big fan of Steve Englehart’s writing, but I really did not like that Hellcat miniseries he wrote. 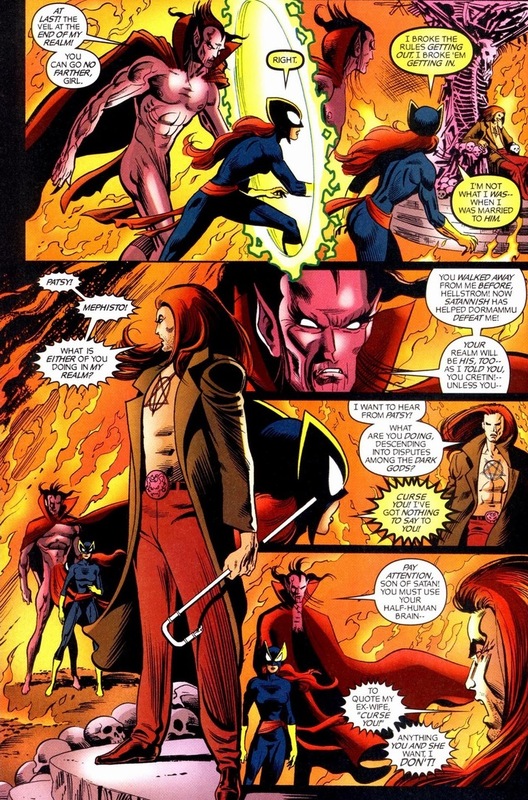 The reveation that Daimon Hellstorm was actually the son of Satannish, who in turn was revealed to be a creation of Dormammu, was rhidiculous and made an already complicated character even more convoluted. I believe that subsequent writers have flat-out ignored it. 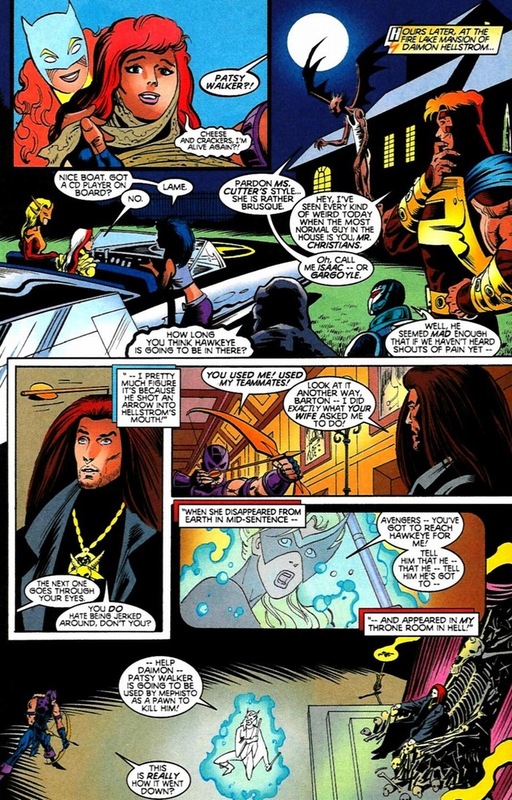 The Marvel Handbooks that came out several years ago came right out and stated that Daimon was lying about the whole Dormammu thing because he wanted to motivate Patsy to finally leave him for good so she could lead a more normal life.